Signed l.l. platemark, [incised plate] "Sickert..." and l.r. sheet, pencil "Sickert". Not dated. 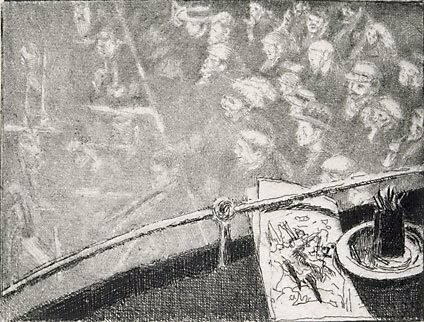 David Peters Corbett, English art 1860-1914: Modern artists and identity , 'Seeing into modernity: Walter Sickert's music-hall scenes, c. 1887-1907', Manchester, 2000, p 163.